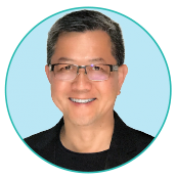 Dr. Chan earned his DMD degree in 1989 from Oregon Health Sciences University. He maintains a full-time practice focused on cosmetic and comprehensive dentistry located in Ridgefield, Washington. He currently serves on the Board of Directors with the American Academy of Cosmetic Dentistry, as Director at the Center for Dental Artistry and as a Clinical Instructor at the Kois Center in Seattle, Washington. He is an Accredited member of the AACD and has been published widely, including several articles in the prestigious Journal of Cosmetic Dentistry. In addition, Dr. Chan travels nationally and internationally presenting lectures/hands-on courses to dentists on comprehensive esthetic dental care. This course will help participants understand the criteria to achieve a higher level of composite artistry with results that can seamlessly emulate natural teeth or rival the beauty of porcelain restorations by learning the concepts of both anterior composites and their restorative applications. Dr. Chan will cover the fundamentals of composites pertaining to the physical and optical properties of resins including strength, translucency, predictable shade selection, tooth morphology as well as simple but very effective polishing techniques. The nuances that make a restoration average verses exceptional based on the restorative goal will be presented in detail. The course will discuss the polychromatic nature of natural human teeth and how composite resins can be used to emulate that polychromatic appearance effortlessly and predictably. This course is specifically designed to expose the dentist to the fundamental concepts and understandings that are necessary to seamlessly emulate and predictably create highly esthetic restorations that rival natural tooth structure utilizing composite resins. Dr. Bakeman is a member of the American Academy of Restorative Dentistry and the American Academy of Esthetic Dentistry and an Accredited Fellow of the American Academy of Cosmetic Dentistry (AACD). Dr. Bakeman serves as President Elect of the AACD and an examiner for both the Accreditation and the Fellowship examinations administered by the AACD. 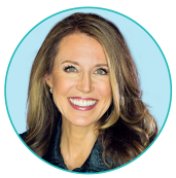 She served as Chairman of Accreditation for the AACD and Chairman of the American Board of Cosmetic Dentistry. She is an Adjunct Faculty member of the Kois Center in Seattle, Washington. She has served as Section Editor for Compendium and the Journal of Cosmetic Dentistry and serves on several boards. She maintains a full-time private practice in Grand Rapids, Michigan. Adhesively retained dentistry (porcelain veneers) can fulfill patient’s esthetic objectives while preserving tooth structure. Learn a systematic, logical approach for preparation, provisionalization and delivery of highly esthetic veneer restorations. Specific preparation guidelines are taught as a means to optimize predictability of tooth preparation when required. Meeting and exceeding patients’ expectations for enhanced esthetics can be a gratifying addition to any practice. This course is geared towards dentists that wish to enhance their skills and build confidence using adhesively retained dentistry (porcelain veneers) to predictably enhance patient esthetics.